Clematis 'General Sikorski' has large, blowsy purple-blue flowers and typically grows to heights of 3m. 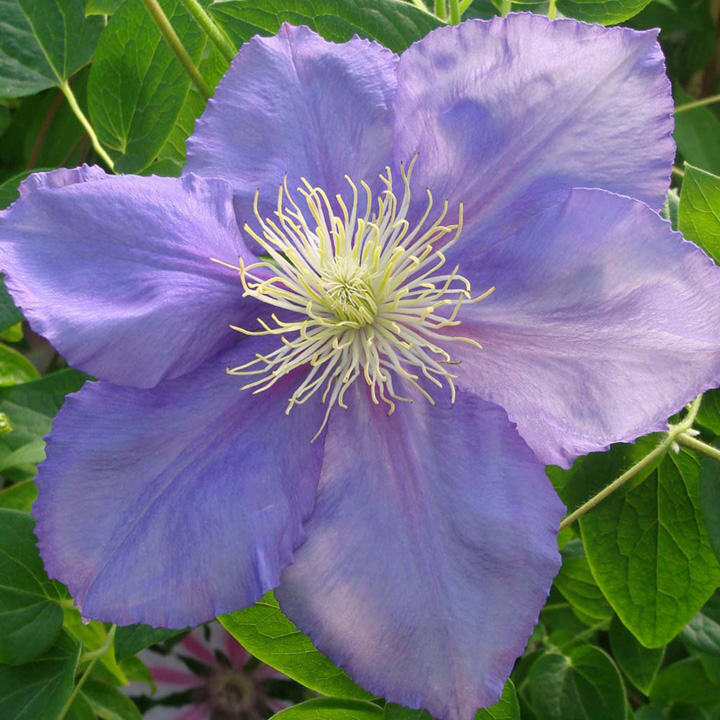 Blooms from June to September, happy in container, or border, sun or semi-shade, Clematis 'General Sikorski' is a pretty addition to the garden. Flowers May-June. Supplied in a 3-4 litre pot. Ideal for patio pots and containes, climber. Prefers full sun or partial shade.